Once again Scottsdale leads the way, with the most expensive home selling for $17.5 Million. What this chart doesn't show, however, is the sale prices after that most expensive house. 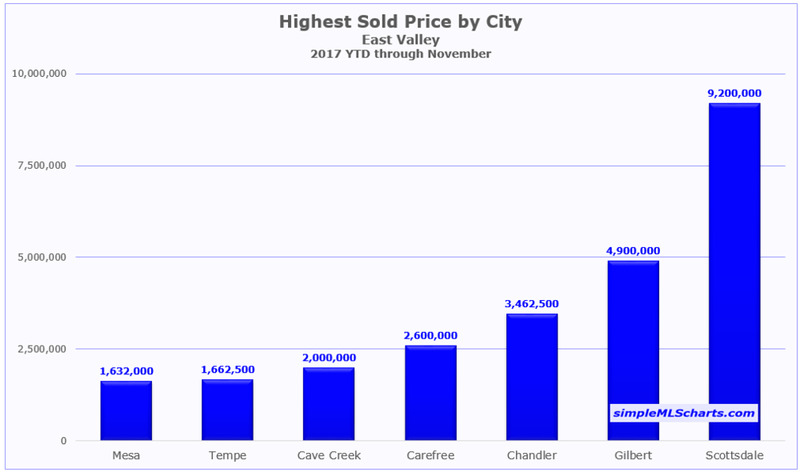 Paradise Valley followed that top Scottsdale sale with the next 4 highest sale prices, and 14 of the top 19 most expensive sales. The most expensive home in 2017 (through Nov) sold for $9.2 million in Scottsdale. 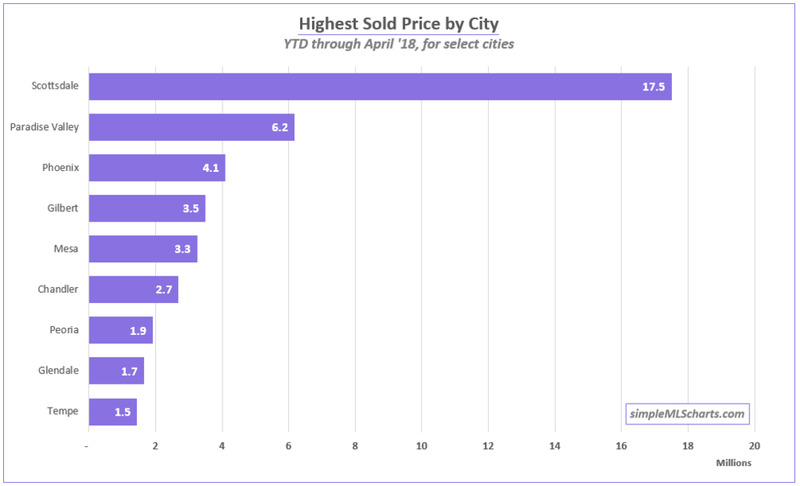 It's also interesting to note how expensive homes can be in the other cities as well.